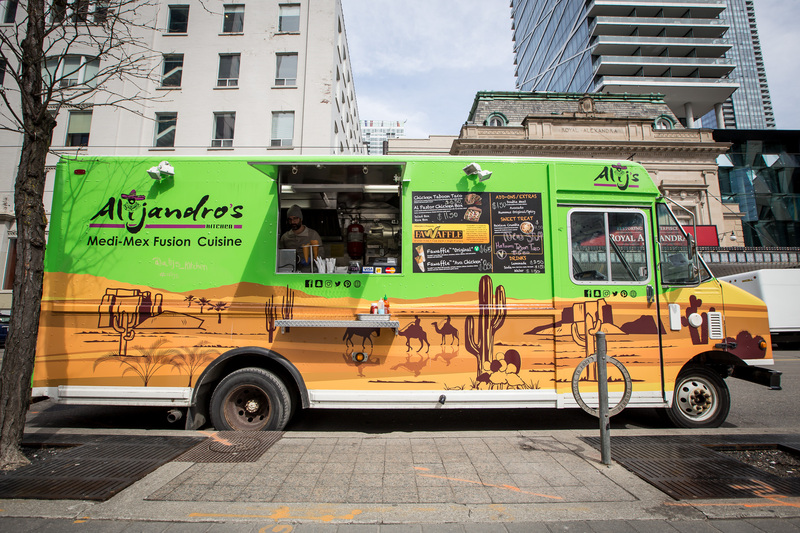 Alijandro’s Kitchen is a Toronto based food truck specializing in what they have coined Medi-Mexi fusion. The truck puts a spin on traditional Mexican and Mediterranean dishes. Menu items include taboon tacos, falafel waffles, salads and desserts.